Getting back in season with the fruits of the summer, this is a wonderful dish even though the title is a mouthful. 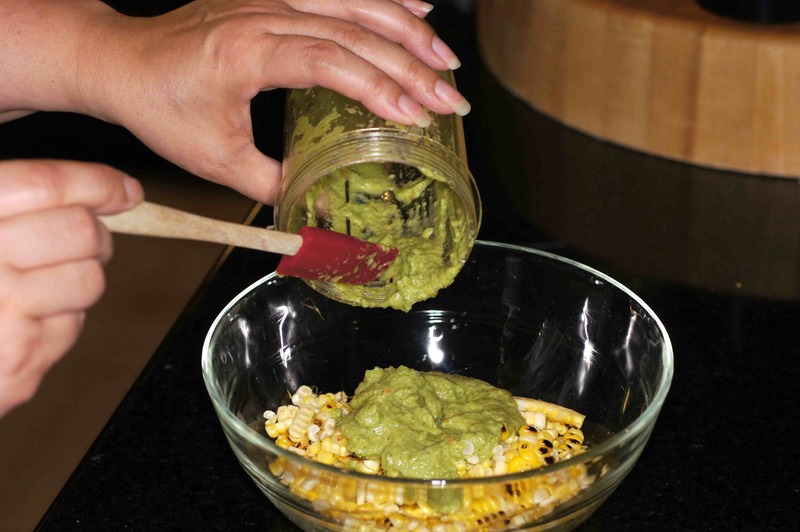 😮 We have raved in prior posts about mojo de ajo and it is that good but this roasted corn and avocado salsa Baby Lady made took this meal over the top. We have been doing a lot of cooking of late so when it came to posting we just didn’t know what to post. In addition to all of the posts we have published recently, we’ve had these wonderful tacos with roasted corn and avocado salsa. We’ve had Pecan Crusted Chicken with Mustard Sauce and Yellow Squash with Sun-dried Tomato Pesto. We’ve also had Shrimp & Yellow Squash in a Coconut Green Thai Curry. Then, there was another grilled avocado stuffed with a wonderful chicken picadillo topped with cheese and lime pickled red onions. Oh, and I forgot, a homemade hand cut pasta with that lovely tomato pesto. Baby Lady liked the Pan Fried Eggplant with Pork so much that we had it again with Quickstep last night! That’s 3 times in a month!! I don’t know when we have ever done that. We’ve remade Pickled Chipotle Chiles and Jalapeños en Escabeche because I was out, became inspired and needed to better document those posts with step-by-step photographs. I also sent these along with some dried chiles to a couple of my international blogging buddies with a challenge but hopefully they will be telling you more on that later. 😉 It’s just been a happening place in our kitchen. 🙂 So, when it came to deciding what to post today, we were stumped. So many good dishes and there is no way to post them all in one day. What to do? What to do? Now, with that said, I’m sure many of you are wondering what I’m doing talking about Shrimp Tacos in Garlic Salsa if I’m not even going to show the recipe or I’ve done it before. Have I lost my mind? I assure you I have not. 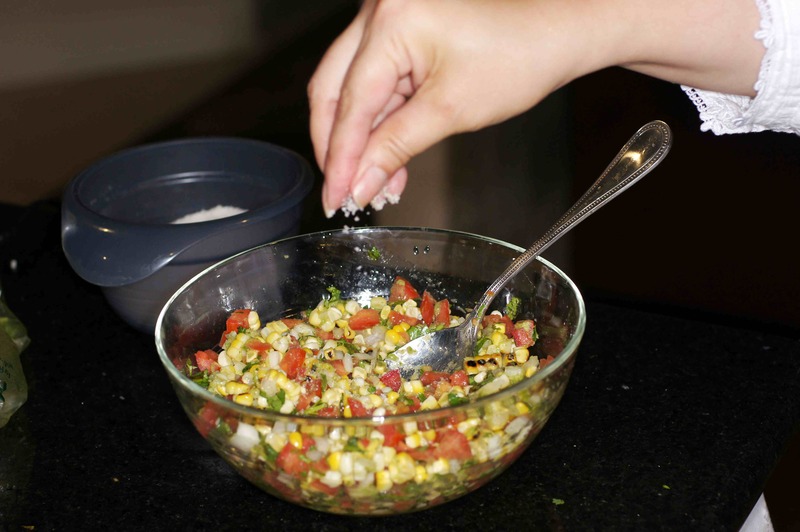 Instead, this post is about Baby Lady’s Roasted Corn and Avocado Salsa that we served with these wonderful tacos. 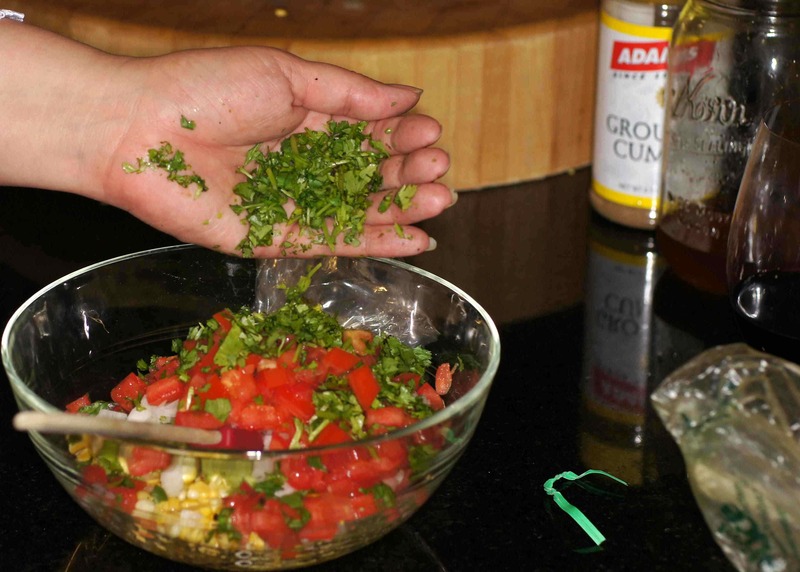 You see, while the filling of the taco is important, the salsa served with it can send it over the top. When you go to a good taqueria they have multiple wonderful salsas to accompany the tacos. They transcend the taco from being ordinary to extraordinary. 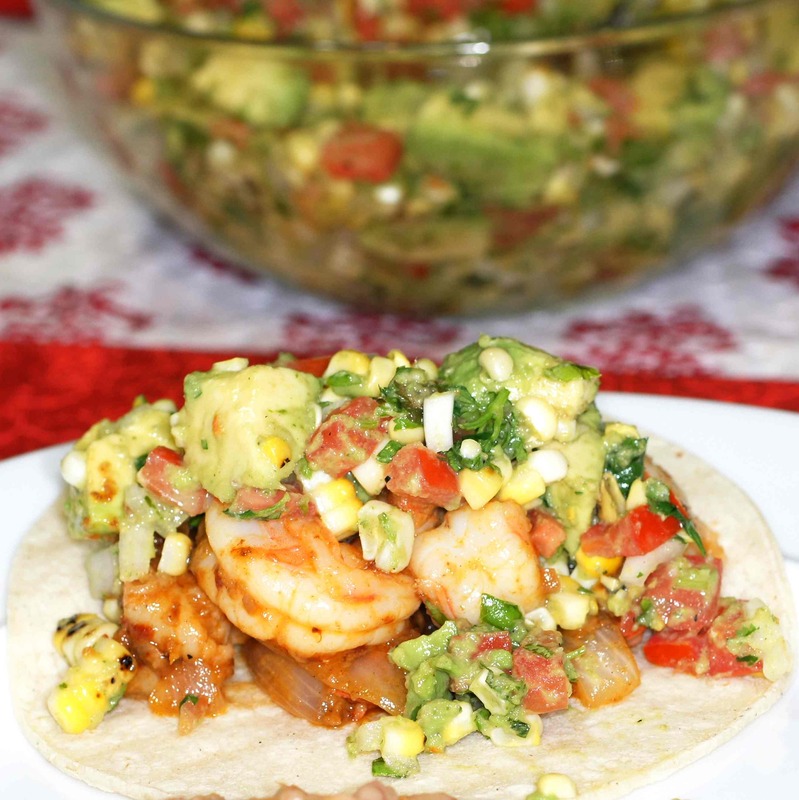 That’s what this roasted corn salsa did for these wonderful shrimp tacos in garlic salsa. 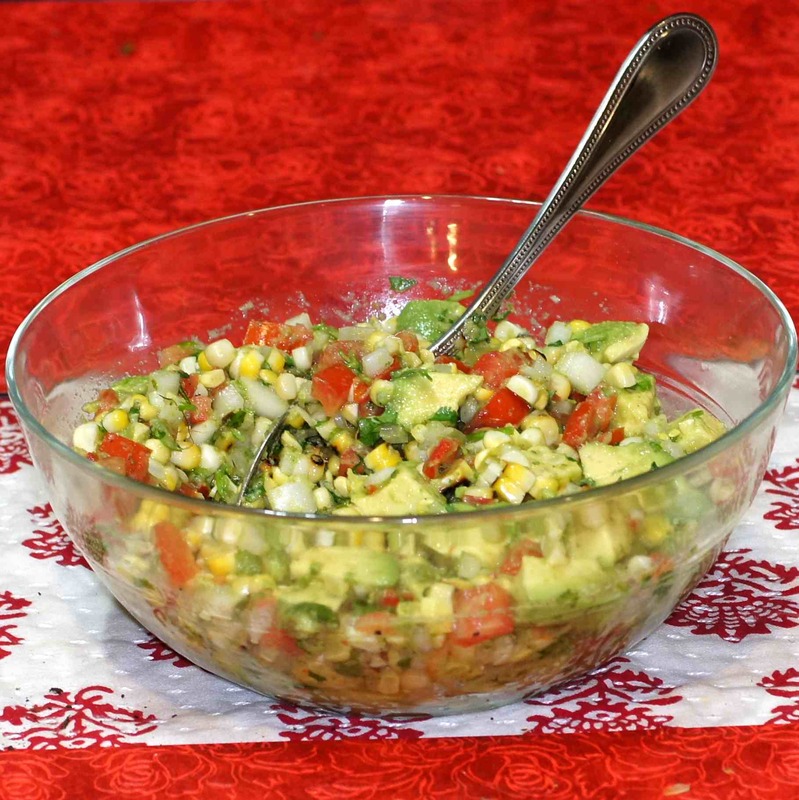 You get the wonderful flavor of the shrimp, the lovely, sweet garlic flavor from the slow poached garlic in the mojo de ajo, along with the spicy smokiness of the chipotles en adobo then finished with the roasted, bright, creamy freshness of this roasted corn and avocado salsa. What a meal!!!! 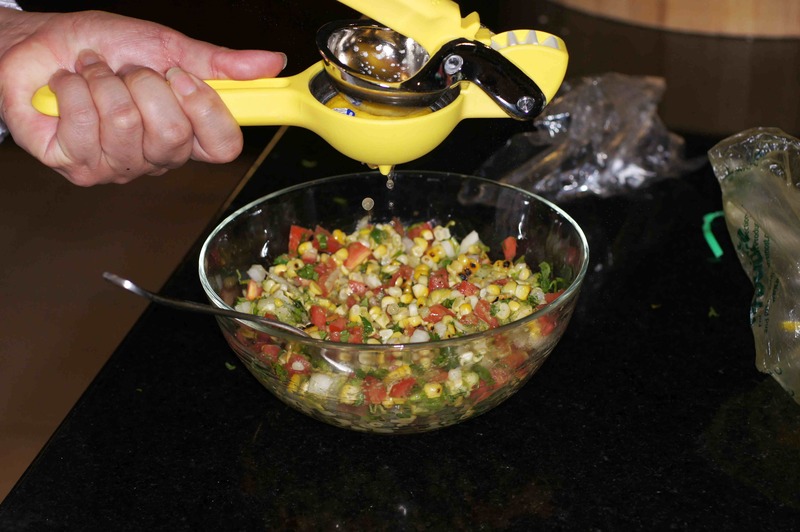 Of course, you can use this salsa for a variety of things. It can be used as a topping in a salad. You can eat it with chips as an appetizer. 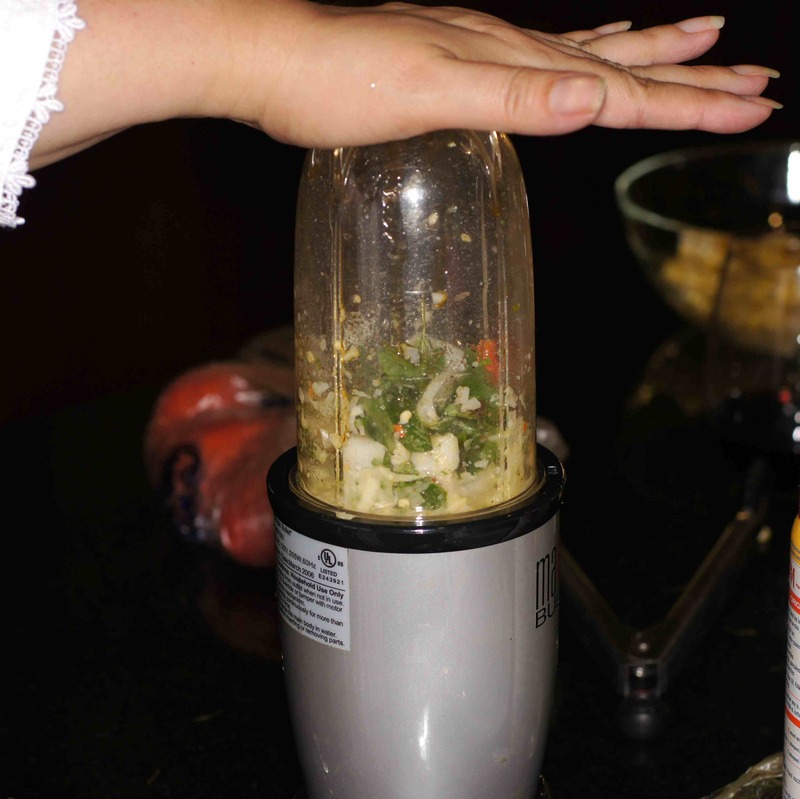 You can use it in sandwiches or to top a seafood dish. And if you run out of ideas, just eat it with a spoon. It’s just that good, not to mention simple to make. Here is what Baby Lady did. 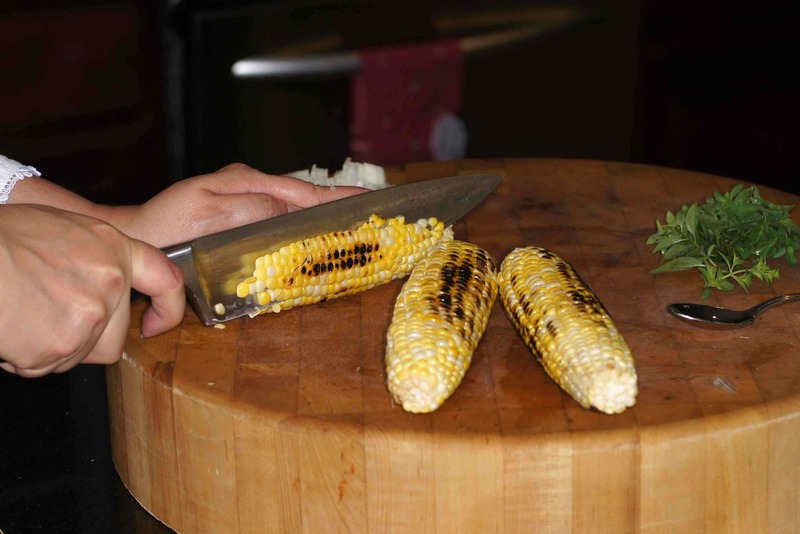 First things first, roast the corn. Baby Lady & I always have different ways of doing things. Me, I would roast the corn on the outdoor grill. If it was too cold or raining, I would roast the corn under the broiler. Baby Lady, however, is always showing me things. 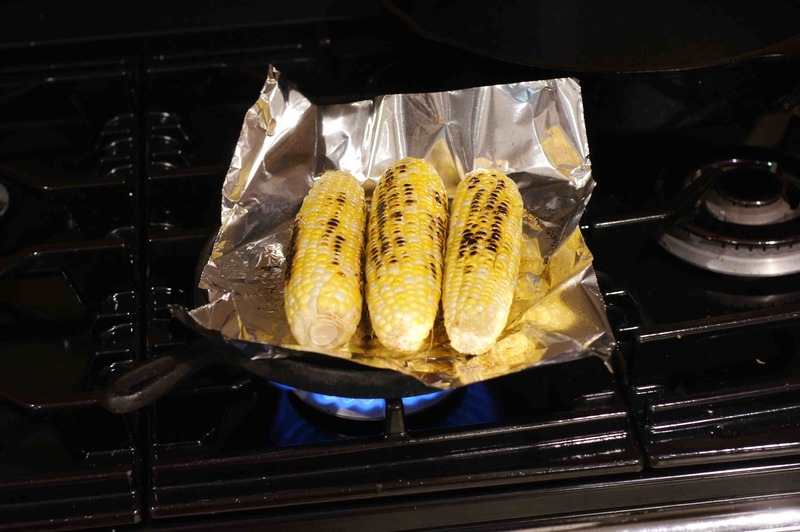 She placed a piece of foil on a comal and roasted the corn over a gas burner on medium-high/high. You can do this directly on the comal but this one hasn’t been fully seasoned. 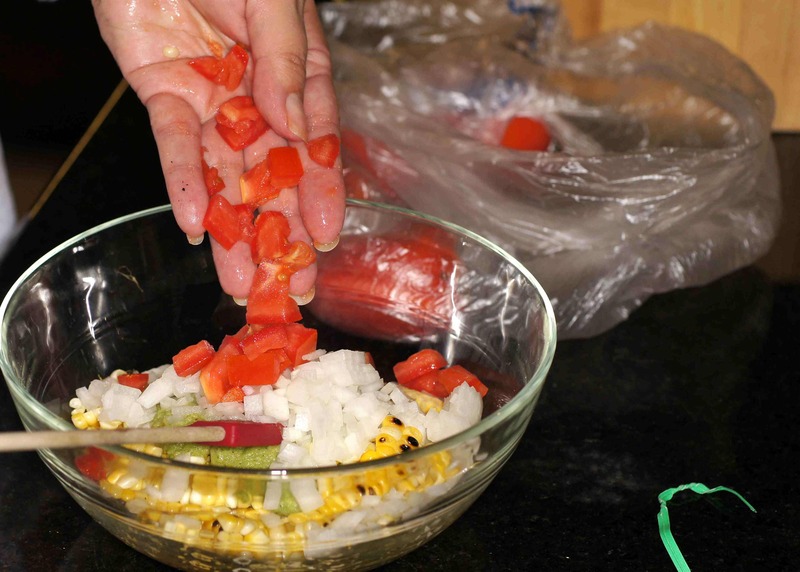 This is a traditional technique in Mexican cooking. 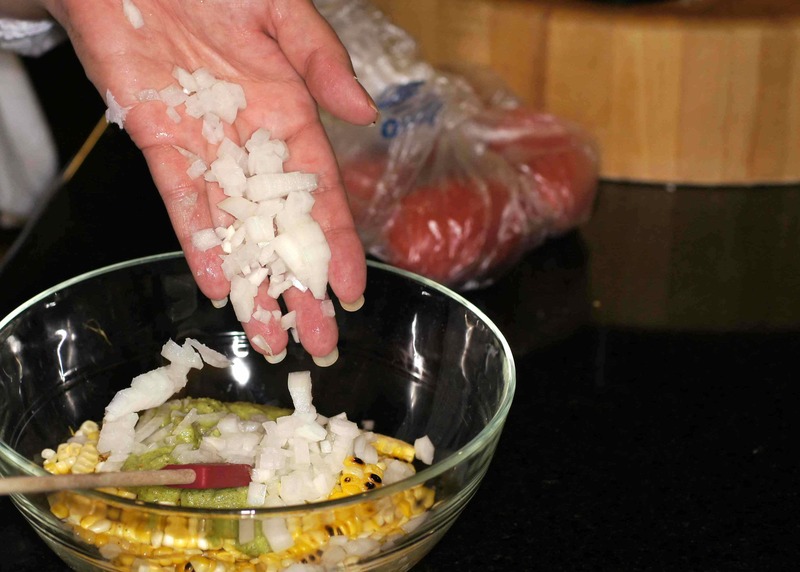 While the corn is roasting, place 1/4 cup white onion, rough cut, into blender along with oregano, cumin, Serrano chile, and oil from mojo de ajo. 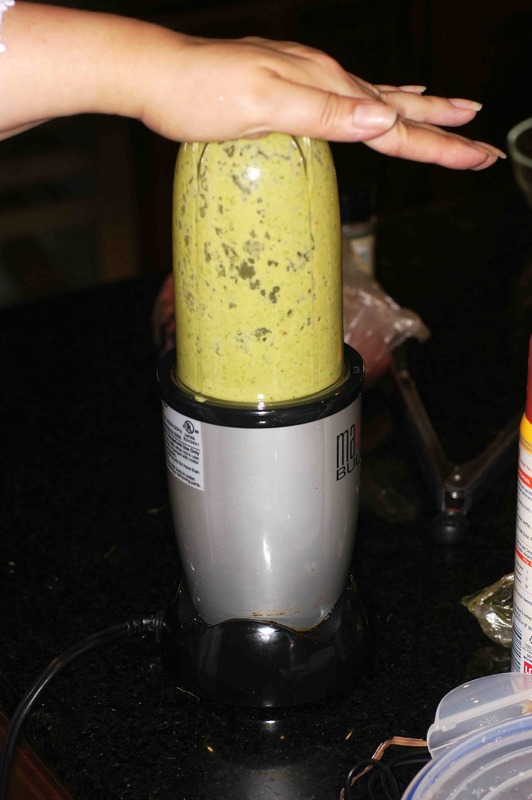 Puree until you have a smooth puree. 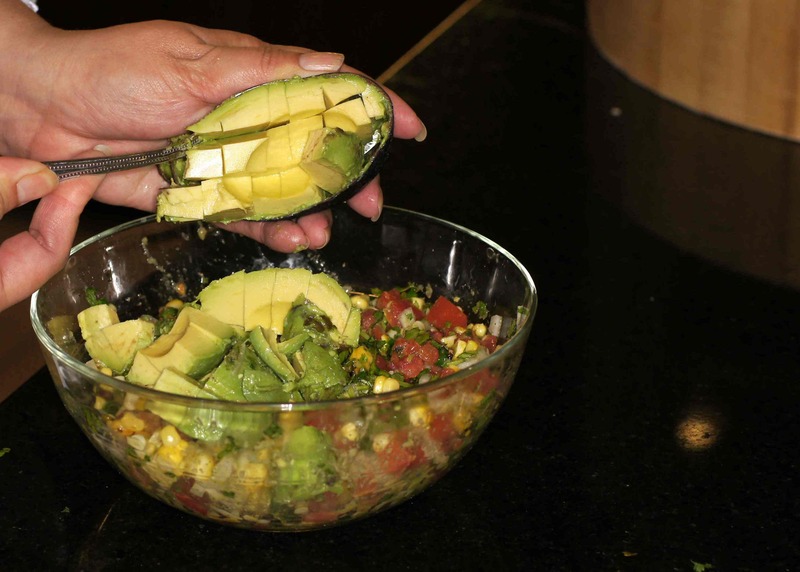 Gently fold to prevent breaking up the avocado yet incorporate all of the ingredients. By the way, I tried sending you an email (at REMCooks. @Tx.rr.com), but it failed. Do you have another email address I can use? It looks like you have a dot between REMCooks and @. Good idea giving this salsa its own entry. It sounds too good to share the spotlight with any other dish, Richard. 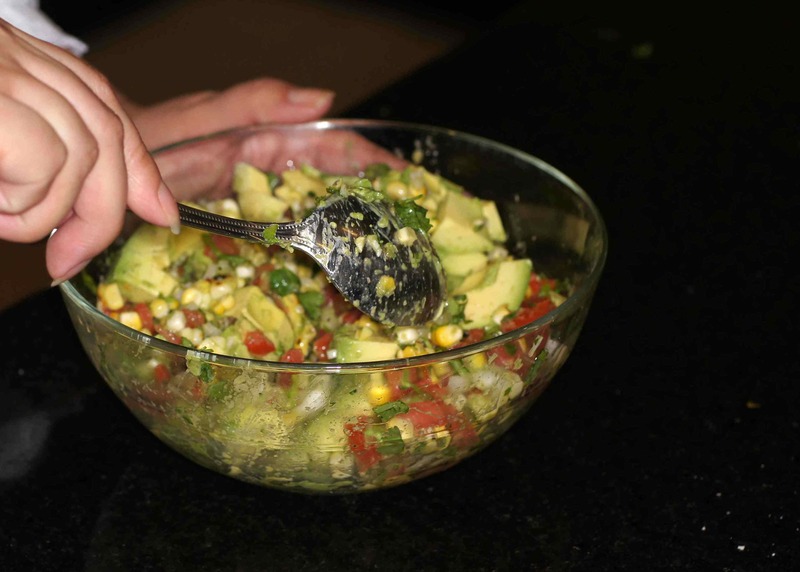 From the roasted corn kernels to the creamy avocado, this salsa would immediately make any dish better. I bet this was delicious! This is one of those dishes that is hard to make look good in a photograph. Thanks, Stefan. I’m looking forward to seeing what you did with the chiles.